During Adobe MAX, Adobe Adobe previewed new iPad versions of Adobe Photoshop CC and Project Gemini, a drawing app. Both are due in 2019. According to Scott Belsky, chief product officer and executive vice president, Creative Cloud, Adobe, the former is redesigned for a modern touch experience, Photoshop CC on iPad will let users open and edit native PSD files using Photoshop’s image-editing tools and will feature the familiar Photoshop layers panel. 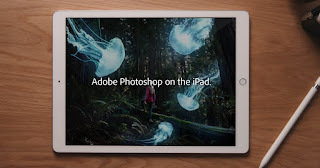 With Photoshop CC across devices, coming first to iPad in 2019, you will be able to start your work on an iPad and seamlessly roundtrip all of your edits with Photoshop CC on the desktop via Creative Cloud, Belsky says. Project Gemini is a new app designed to accelerate drawing and painting workflows across devices, Project Gemini, coming first to iPad in 2019, combines raster, vector and new dynamic brushes into a single app experience built for drawing. Beksly says Project Gemini enables artists to use and sync their favorite Photoshop brushes and works seamlessly with Photoshop CC. Adobe also announced major updates to Creative Cloud applications including Photoshop CC, Lightroom CC, Illustrator CC, InDesign CC, Premiere Pro CC and Adobe XD. The company also introduced Adobe Premiere Rush CC, a video editing app for social media creators.